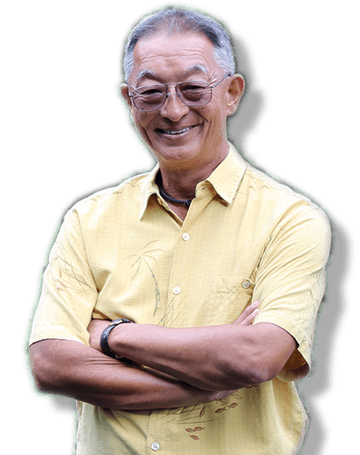 Award-winning Kauai Realtor Mark Tanaka has been serving island families, retirees, newcomers, investors, and developers for more than 40 years. As the Executive Vice President of Kauai Realty, Mark Tanaka’s decades of Kauai real estate experience, local connections, inside knowledge about Kauai, and superior service will set you on your way to buying or selling Kauai real estate today. 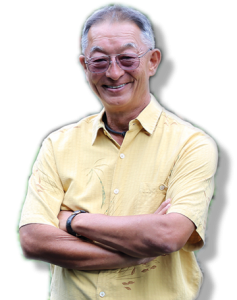 Mahalo, Kauai, for voting Mark Tanaka as the best Kauai Realtor in 2010, 2013, 2015 and 2016 and 2017! Using the Zoom In/Zoom Out (+/- signs) in the upper left corner of the map, find the area of Kauai that you are interested in. Then click on the circles/plus signs on the map to expand out the listings in that area. Keeping clicking on the listing circles to expand the view to see individual listings which have a blue box with a white house icon – click to see more details. "Truly the name – Kauai Realty – says it all. They know Kauai like no one else and are the most professional, personable and knowledgeable Realtors you could hope to work with. We had the pleasure of working with Ashley Carvalho and Mark Tanaka and are so appreciative of all the assistance and guidance they provided us. We truly couldn’t have done it without them! We highly recommend both of them – and Kauai Realty – anytime someone asks who the best Realtors on Kauai are." "Working with Ashley and Mark from Kauai Realty was an enjoyable and easy process. I felt they had my best interest in mind when it came to finding the home I needed for my family. Professional, thorough, and good people who I would use again as well as recommend them to my family and friends. I am glad I got to work with them." "Mark Tanaka and Ashley Carvalho found me the perfect home. Their knowledge, awareness and experience not only helped in guiding me, but also saved me a lot of money. They stepped up for me when complications arose and went above and beyond any expectations. My transaction would not have happened if not for Mark and Ashley." "I have had the pleasure of working with Mark Tanaka for many years. He initially helped me subdivide and sell my property on Kauai. I signed papers, but Mark did all the real work! Mark kept me informed every step of the way, which must have been a challenge before the internet, and 6000 miles between us. When it was finally time to sell my home on Kauai, I worked with Mark and his daughter, Ashley Carvalho. They arranged for painting and renovating of the house, designed beautiful marketing ads and held my hand as I sold what had been my dream home. Even now when I have questions, they are both timely and thorough in their response. I recommend them highly. " "From start to finish we received excellent advice, guidance, support and service in the sale of our property in Kauai. Kauai Realty was an invaluable asset. They gave us many helpful suggestions and all the necessary guidance throughout the entire process in a professional and timely manner that resulted in a successful sale. We live in Honolulu and needed to depend on Mark and Ashley a lot and we were kept fully informed throughout the entire process. Mahalo & Aloha"
"Blessed are they whose path leads to Kauai Realty, for they shall find Aloha. Ashley Carvalho and Mark Tanaka brought a formidable set of legal, financial, diplomatic and cultural skills to my home search three years ago. Most important, they learned who I really am, they put my needs first, and they know the way the island trade winds blow. Kauai's first realty company remains her finest, and I recommend them without reservation." "No one knows Kauai real estate better than Mark Tanaka. He skillfully utilized his decades of experience to help guide us through a difficult and expensive market. Mark's generous spirit and expertise are second to none!"